Force-sensing Joystick: Has the Jury Reached a Verdict? 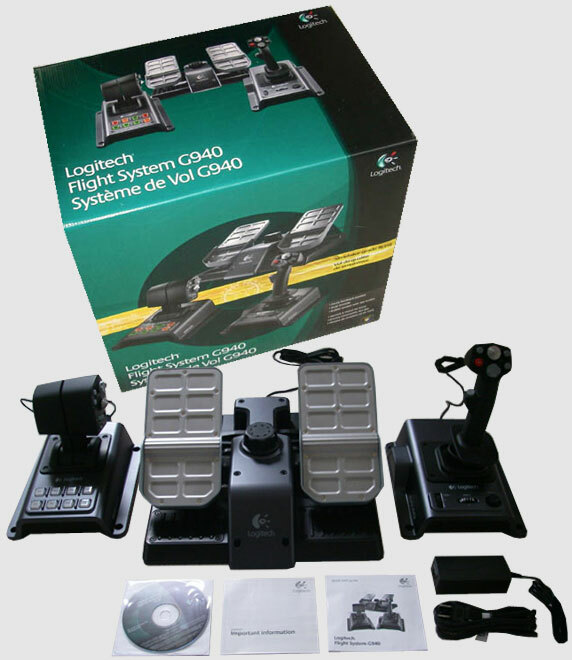 As soon as it was revealed that the X-65F would include a force-sensing joystick, the discussion tone on the SimHQ Forums widely varied. 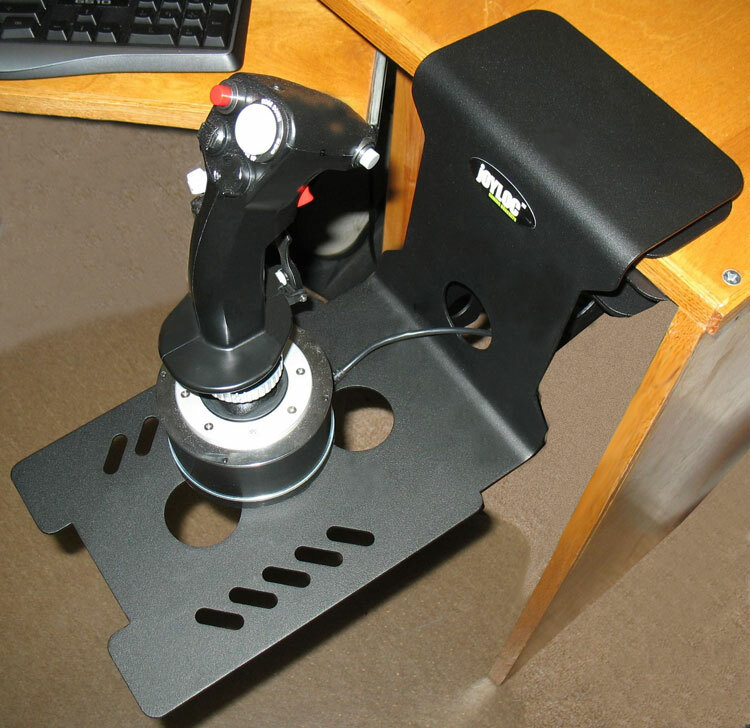 Some users wanted to know why Saitek made this decision. Some were excited. Some were turned off. Some wanted to know what a force-sensing stick was, and what it would be like to use. 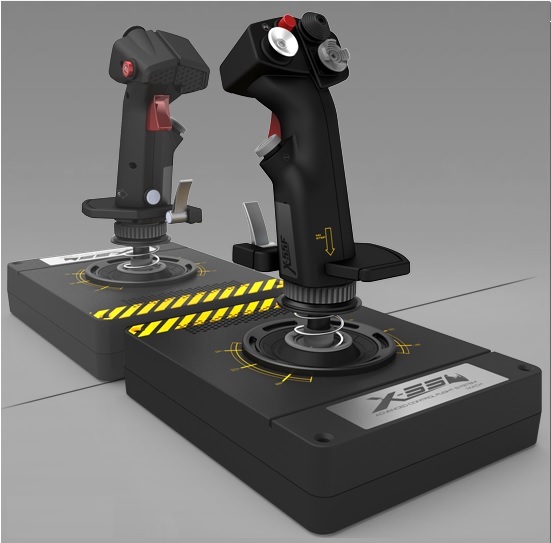 Saitek’s decision to develop a force-sensing stick is a bit curious to me, since out of all of the combat aircraft in the world, only the F-16 and the F/A-22 use force-sensing sticks. I have spent more time testing the X-65F than any other hardware peripheral I have tested for SimHQ, due to the radically different feel of the device. I have to say that, personally, I don’t like it. Yet. I can see its potential. Everything is very precise. For example, if I stop pushing or pulling on the stick but keep my hand on the handrest, there is absolutely no control input given to a sim, which you can’t say about traditional joysticks. For that reason it’s possible to use the X-65F joystick with no center deadzone. Also, when making small, measured inputs (e.g. lining-up for a runway landing or refueling) I find the use of the stick to be quite natural. But when things get heated (e.g. ACM, carrier break or lining-up for a bombing run) I find myself floundering all over the sky. All of this comes down to one thing: X motion bleeding into the Y axis and vice versa; I find the aircraft rolling when I am pulling Gs, or the nose will pitch when all I want to do is roll. It’s a very frustrating feeling to have the aircraft do something you don’t want. The problem is easily demonstrated by looking at the joystick properties page. If I quickly push left-right-left on the stick there is invariably some amount of Y-axis motion, usually quite a bit relative to the X axis. The video below demonstrates the problem. It is important to know that I was not looking at the axis properties page when recording this video; if you can see the polar plot, then keeping the motion purely horizontal or vertical is easy. When you look away, there’s no guidance as to what true horizontal and vertical motion really is, and you can see that I drift, at times by a significant margin, from true X and Y motion. This video also demonstrates the tendency of the rudder axis to give undesired input. 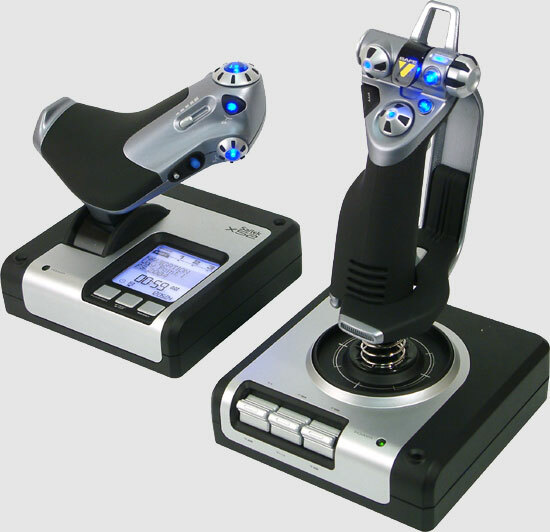 I think Saitek could have alleviated much of the force sensing axis problems that some users may have by heeding the lessons learned by the U.S. military and General Dynamics during the development of the F-16. What these organizations learned, based on feedback from test pilots, was that the F-16’s force-sensing joystick was disorienting pilots in much the same way that I am frustrated by the X-65F. To alleviate this problem, the F-16’s joystick was redesigned to permit a small amount of movement: only an eighth-of-an-inch from center. This displacement has no effect on the control inputs to the F-16, but allows the pilot to better detect where the stick is relative to center. I imagine that, over time, it is possible for a sim pilot to get used to the X-65F force-sensing. I want to like it, and I tried to get better at using it on a continuing basis during the reviewing process. I don’t seem to be making much progress, though, but if I do I think the learning curve will be worth it.